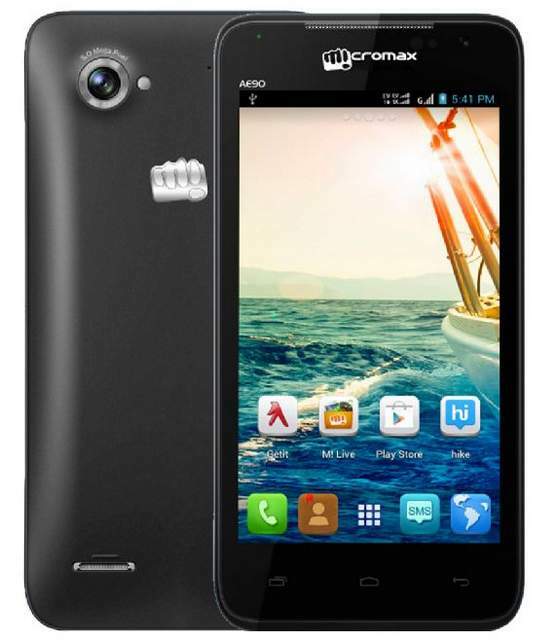 Micromax Canvas Duet AE90 has been launched at price of RS 9000. It is successor to the Micromax Canvas Duet Eg111. The Duet A-E90 is available from online retailer ebay. It features a 4.5 inch qHD display and runs on Android 4.1 OS. It is a dual SIM phone and has CDMA + GSM Network Radio. It is powered by 1.2GHz quad core Processor paired with 1GB of RAM. The Canvas Duet AE-90 is accomplished with 5-megapixel primary shooter and a VGA front camera. There is 4GB of internal storage out of ( 1.82 GB user memory ) and micro SD card support for expanding the storage up to 32GB. It houses 1800 mAh battery , which should be OK for normal usage. You can buy it from Infiabeam and ebay, it would be soon avaialble from flipkart and amazon.